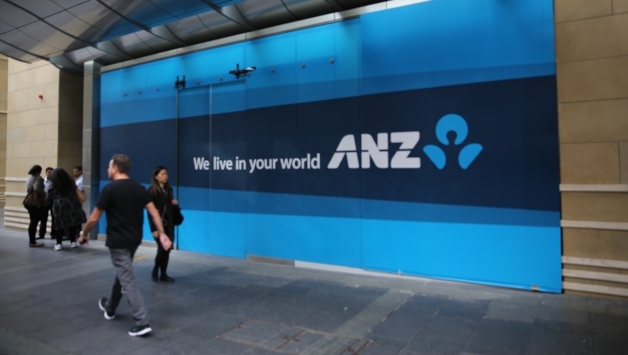 Analysis: Can ANZ revolutionise banking? Under the leadership of CEO Shayne Elliott, ANZ is eager to transform itself into a smaller, simpler and more technologically savvy organisation. Mr Elliott took over from former chief executive Mike Smith at the beginning of 2016, and in two years has made headway on his plans to move the bank in a very different direction from his predecessor. Mr Smith’s time at ANZ saw the bank struggle, and ultimately fail, to establish itself as a major player in the Asian market. When Mr Elliott took over he began winding back the bank’s presence in Asia and divesting non-core assets. Technology and innovation are a big focus for the bank. In February, it announced a strategic investment partnership with local start-up Data Republic to gain access to data-sharing environments. In his address at ANZ’s annual general meeting in December, Mr Elliott stressed the need for ANZ and the industry as a whole to adapt to “rapid changes”. The ANZ CEO believes “barrier-breaking” technologies are creating new opportunities for the banking sector. “Our customers with smartphones now carry their bank in their pocket and access our services 24/7,” Mr Elliott said. Mr Elliott’s understanding of the significance of technology for the future of banking is underpinned by a sense of urgency. He noted that the “scale of changes” in the current environment is “greater than [anytime] in ANZ’s history”, adding that “customer and community expectations are changing just as fast”. “Our customers’ lives are changing fast, too. People work differently, buy differently, pay differently and expect more from their bank,” he said. ANZ understands that the key to sustainable, profitable growth is to recognise and embrace the changes that are disrupting its business and to invest in the technology, people and relationships needed to provide customers with the solutions they want in this new world. “Our strategy in this rapidly changing world is to build digital ecosystems around customer needs [and] to collaborate with technology partners and create innovative products and services,” Mr Elliott said. ANZ has taken appropriate steps to adapt to these changes and made a number of key hires in 2017, recruiting Gerard Florian from Dimension Data and Kathryn van der Merwe from Bain Consulting. One of ANZ’s biggest hires in 2017 was former Google Australia and New Zealand boss Maile Carnegie, who is now head of digital at the major bank. She said she was convinced to take the role by the direction the bank wants to head. “There is so much passion to change the bank, to really digitally transform the bank," Ms Carnegie said. “I'm really excited about the vision people like CEO Shayne Elliott have.